“Yeah. They said I couldn’t be an astronaut. I got turned down a couple of times, got slapped by a couple of angry stewardesses who I may have dated, was told that a swingin’ bachelor like me would never fly to the moon, but I came back to bring the pain to those darn inkblot tests. 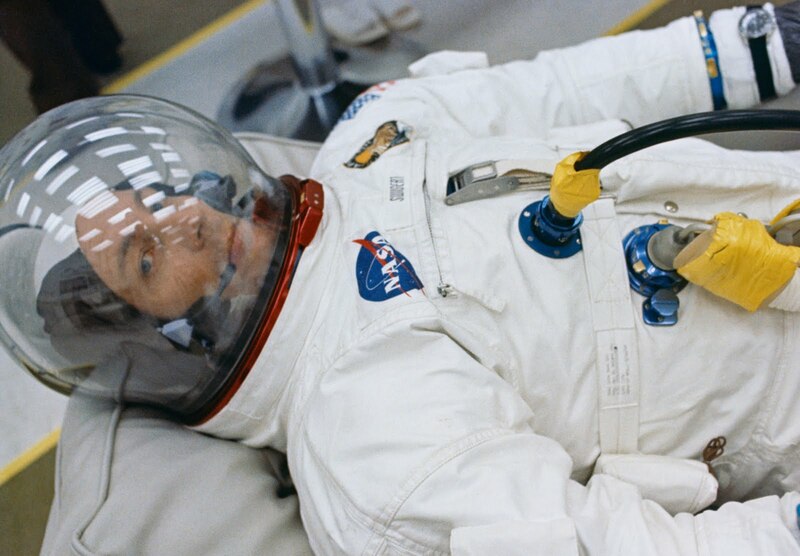 And I did…look at me now.” Jack suits up for Apollo 13, April 1970. All jokes aside, Jack did not make the cut for a few astronaut groups in the early 1960s. However, he was finally selected at age 34 in 1966. Ol’ Jack’s sense of perseverance would help make Apollo 13 a “successful failure” in 1970. 05 22 33 43 CMP (Ol’ Jack!) Sure wish I could go to the FIDO party tonight. 05 22 33 47 CC (CAPCOM Joe Kerwin) (Laughter) Yes, it’s going to be a wild one. Why did he have this phone book, you may ask? Because he was Jack Swigert. There’s your answer.